The sole mission of a church is to spread the gospel to all who are willing to listen. The more people you reach, the better your chances are of converting them into church members. There are several ways churches choose to reach out to their audiences. Using old-school methods, such as fliers is great, but nothing compares to digital marketing. Times are changing and with it so should your methods for advertising your church. The web has proven to be a great medium for reaching churchgoers and other interested community members. 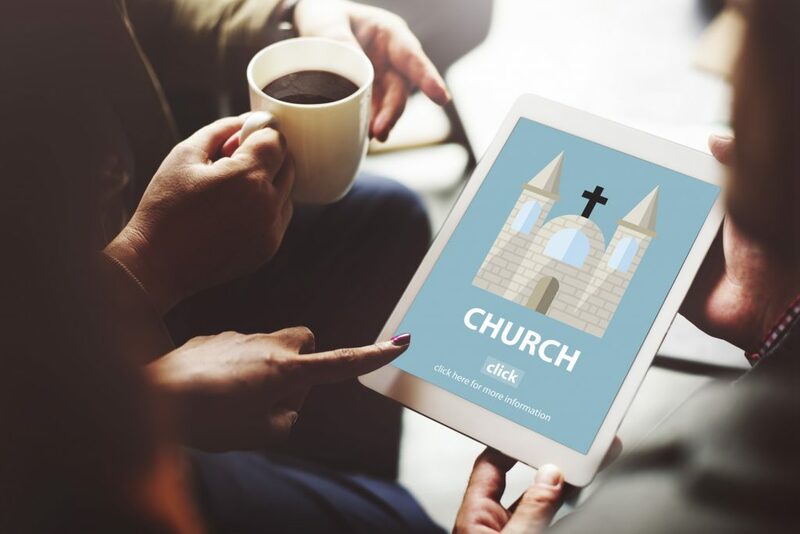 With a church website, you can advertise your location, detail your beliefs, and provide your service times to your intended audience. To be successful, you need to have a strategy to drive traffic to your site. That’s where PPC marketing comes into play. Let’s review how it can help your church website. Pay-Per-Click, or PPC, is a form of online marketing. It consists of running ad campaigns that display on websites and within search engine page results. Surely, you’ve seen sponsored links at the top and bottom of Google searches. Churches can use PPC to quickly gain visibility for their websites. The key is to develop a campaign with the right keywords and ad copy. This requires lots of research and a bit of split testing in order to find the best results. With PPC, you’re paying for ads based on the keywords you’re using. The more competitive the keyword, the higher the rate. Then each time someone clicks on your ad, you pay. Generic ads may generate plenty of clicks, but if it’s from the wrong traffic, then you’re wasting marketing dollars. Google Adwords is the PPC advertising system that’s most popularly used. It allows you to create the ads you display in the Google search engine and various other Google properties. For instance, your ads may show up on websites that have Adwords accounts set up. You bid on the keywords you want to target, and if there’s not too much competition, your ad will show up at the top when users type in your key phrases. In a sense, you have to bid and then win your bid in order to show up for your selected keywords. The way winners are chosen is based on the CPC bid (the highest the bidder is willing to spend) and the Quality Score, which revolves around your click-through rate, landing page quality, and relevance. It’s important to have a campaign that’s well thought out and high-quality. You can achieve this more easily when you obtain PPC marketing services from professionals like this company. Once you win, you can create ad budgets, so you don’t overspend. For instance, if you only want to spend $20 per day, your ads will stop showing in the search results once you reach your limit. All your keywords should be relevant to your campaign and the ad text. Optimize your landing pages with relevant keywords and clear calls-to-action. Doing the above will improve your quality score, which improves your chances of winning bids. Now that you understand what PPC and Adwords are, it’s time to see why your church website should use these marketing tools. Let’s review the top benefits. There are three major search engines: Google, Yahoo, and Bing. They all have PPC platforms. You can improve the visibility of your church website by creating campaigns on all search engines. There’s no other form of advertisement that can get your church website to the top five results (as sponsored ads) on these major search engines. What attracts website owners to PPC marketing is how quickly it can increase your traffic. Unlike with SEO, which can take months to see results, PPC marketing can generate results almost instantly. If you know your way around ad platforms, you can have your campaign up and running in less than an hour. This makes it perfect for advertising upcoming church events. In order to convert more visitors into church members, you have to continuously draw in traffic to your site. This can also help if you’re hosting an online event or sale and need a lot of views quickly. PPC marketing will provide a consistent flow of traffic to your website for as long as you have your ad campaigns going. Your ad spend will determine how much traffic flows into your church website. The higher your budget, the more traffic you will potentially earn. It doesn’t really matter how many visitors your church website gets. If it’s a bunch of people from the wrong audience, then you’re not spending your marketing money wisely. With PPC marketing, you can create ads that are highly targeted. This way, only folks who are really interested in what you offer will click on your ads. And this will also potentially boost your conversion rates. The best way to create targeted ads is to focus your ad text and landing page on a very specific market. For instance, you could focus on young families who want to live a modern life that pleases God. It may take some time to get the best results, so split testing different versions of ads and landing pages is key. Does your church have a new idea for a product or service? Are you looking to change your focus on preaching the word in a more modern way? Before doing a product launch or brand overhaul, you can test the market first. PPC ads will help determine how many people are actually interested in your new idea. If you see there are a lot, then you can consider taking the leap of faith. There are only so many people you can reach with local flyers. The internet makes reaching the masses easier than ever before. If you’re a church looking to grow its membership, then PPC can work for you. And this goes for both online churches, as well as physical churches. Your ads will show up in search engines, as well as on websites using Google Adwords, Bing Ads or Yahoo Ads. If you initiate ad retargeting, your ads will follow your website visitors throughout the web for a certain amount of time. This can increase their chances of returning to your church website. The tools and features included in PPC platforms are quite extensive. There are analytics and tracking tools, as well as geo-targeting and ad scheduling features. All of this gives you more power over your campaigns. For instance, if your local church is looking for new members in four cities around your location, then you can create campaigns for each of those areas. If you know your audience is normally online on specific days and at specific times, you can schedule your ads to display only during those times and days. The ability to track your ad spend, conversions and traffic can help improve your campaigns substantially. In turn, you can potentially boost your conversions and lower your ad spend. You definitely don’t want to overlook the benefits of placing your ads on Google, Bing, and Yahoo. However, you don’t want to limit your church website. With that said, there are other platforms you can include in your PPC marketing campaigns. For instance, you can use Facebook ads, display advertising, and video advertising. You have to reach out to the content owner to get advertising spots on their videos and websites. For instance, you can purchase banner ads on relevant websites. Plus, you can have YouTube publishers place your ads in their videos. A solid strategy is key to making all the pieces of the PPC puzzle fit soundly together. Spreading the word is easy when you have access to the right tools and technology. At Christian Web Host, we’re committed to helping church websites increase their visibility by offering them quality web hosting. We can also register your site with various domains, including .church, .com, .org and .net. If you’re looking for a quality hosting service for your church website, don’t hesitate to reach out to us. Stop by our site today to learn more. And if you have any questions, feel free to contact us!